“Breathing in, I see myself as a mountain; breathing out, I feel solid.” As with the other images, we can shorten this to “mountain” as we breathe in, and “solid” as we breathe out. This image invites us to find our stability, a kind of strength that can support us when we feel wobbly. When I first learned it, the beautiful mountains of the Sierra Nevada, just west of my home, came to mind. 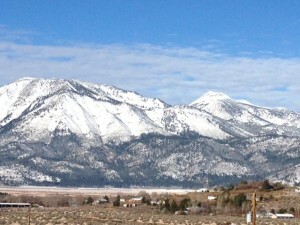 Years later I was fortunate to visit sacred Mt. 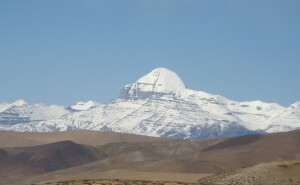 Kailash in Western Tibet which became another inspiration. But even a modest hill or a photo can remind us of this practice. We can practice this while seated in meditation, feeling our bottoms as the base and our torso and head rising into the skies. In yoga, the basic standing pose is called mountain; there we feel our feet planted on the ground and the energy of our body rising. I often invoke this feeling while sitting with clients who are telling me of a difficult circumstance; feeling grounded and stable allows me to meet them with presence instead of reactivity. In other circumstances when strong emotion arises I spread my energy through my body to help me contain it. And the standing pose is great for waiting in grocery store lines! If I notice I am slumped to one side and feeling impatient, I can feel the energy almost drain from my body. Sometimes that uncomfortable feeling reminds me to find mountain pose, which then leads me to bring full attention to the people I’m waiting with or who are about to serve me. I love it when everyday life and mindfulness practice come together! This entry was posted in Meditation, Mindfulness and tagged Body, Mindfulness, Nature, Thich Nhat Hanh, Yoga. Bookmark the permalink. Thank you for the mountain pose reminder for standing in line! Lovely.